As the healthcare community continues to struggle to implement patient electronic medical records (EMRs) for humans, a new mobile app has been created to do the same for pets. Pawprint, a free EMR app for your pet, sources official records directly from the vet and provides online access to the pet's vitals. 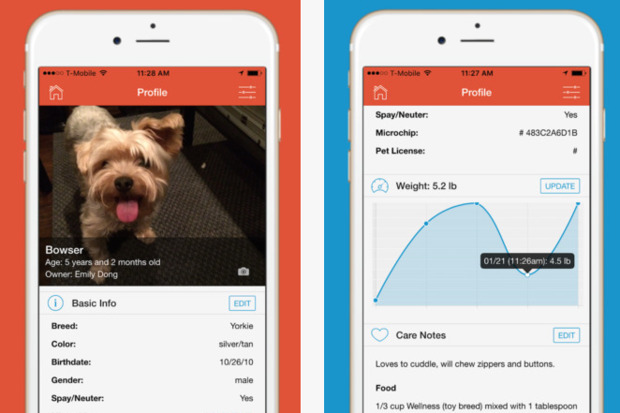 By bringing all pet care vital records to one place, Pawprint hopes to simplify pet care for owners and veterinarians. 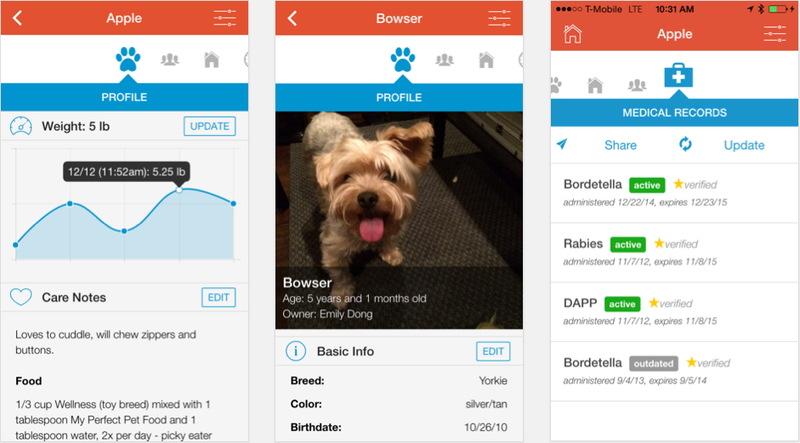 The Pawprint app provides a myriad of information, including pet profiles, ID data, past medical treatment records and appointment alerts. The app, with versions for both iOS and Android mobile devices, not only stores digital copies of a pet's official medical records, it also provides alerts when vaccines and checkups are due. The app can also store ID information from a chip implant. Emily Dong created Pawprint, which just participated in the Y Combinator Fellowship, out of frustration with the scattered state of pet information and records. Y Combinator is one of the world’s largest start-up incubators. Fellows receive $20,000 and advice from the YC community for eight weeks to go from an idea to a startup. Pawprint was one of 31 companies selected from a pool of 6,600 to go through the first round of funding. Pawprint is not alone in the pet EMR space. VitusVet said it has recently raised $1 million in seed funding for a cloud-based EMR app on iTunes. "What we're doing at VitusVet is modeling something that has been around in human medicine for 30 years," Mark Olcott, a veterinary doctor and co-founder of VitusVet, said in a previous interview. Olcott said the app has been downloaded thousands of times on iTunes and it has been adopted by veterinarian hospitals in at least nine states. For her part, Dong argued that Pawprint has unique capabilities. "A number of apps out there help you keep track of pets' records, but you have to input and maintain them yourself -- you're asked to write everything in, and very few people are diligent enough to do that. It becomes tough to keep up," Dong said in a statement. "Pawprint is the only app that will go directly to the vet and get it for you -- all we require is your signed permission." Once you download the Pawprint app and create an account, you make a request for your records. At that point Pawprint's staff reaches out to your vet on your behalf and retrieves the records "by any means possible," including digital transfer, fax or verbal communication. "The records belong to you and your pet. We do not sell personal information to third-party sites and your information can be removed at any time," the app's marketing information states. "We personally reach out to your veterinarian and do not allow unauthorized parties to upload information in order to ensure that the records are official." The app can be used by pet groomers, pet daycare centers and boarding services to upload and view information about your pet's care needs, such as feeding instructions, allergies or photos of previous grooming.